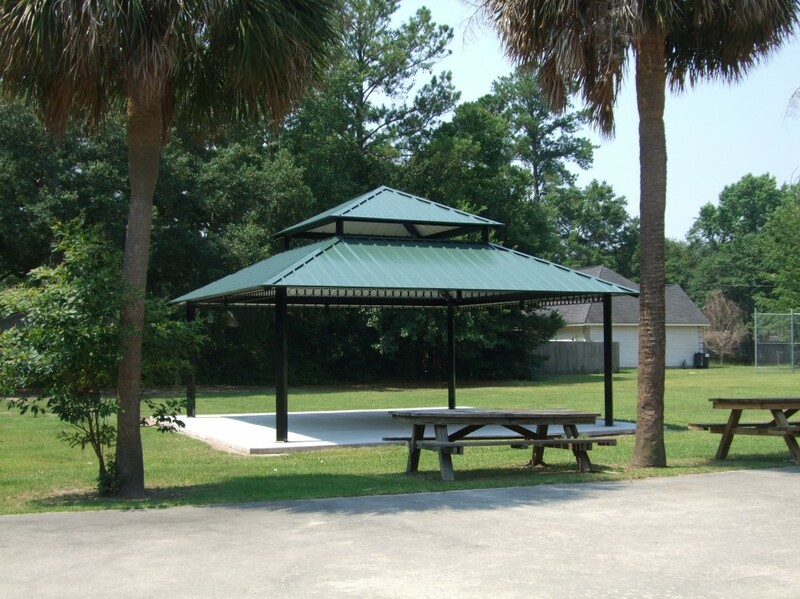 Poligon is a high quality line of architecturally crafted shelters, gazebos, pavilions, and pergolas in bolted tubular steel with panelized roof system. 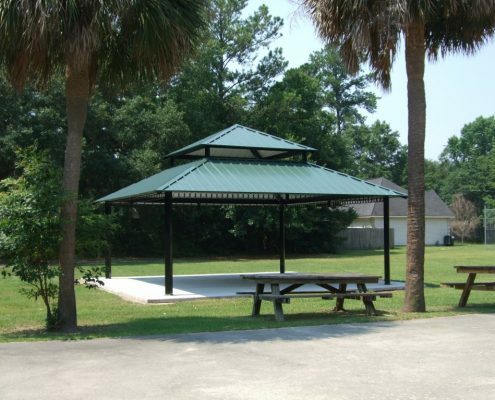 In 1976, Poligon changed the way shelters look with the introduction of the first tubular steel park shelter. 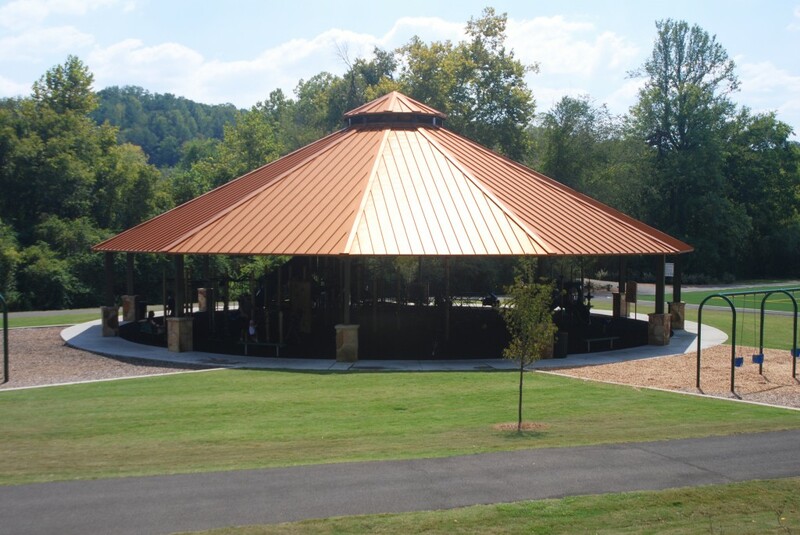 Since then, Poligon has led the industry in tubular steel fabrication and on-site, bolt-together construction. 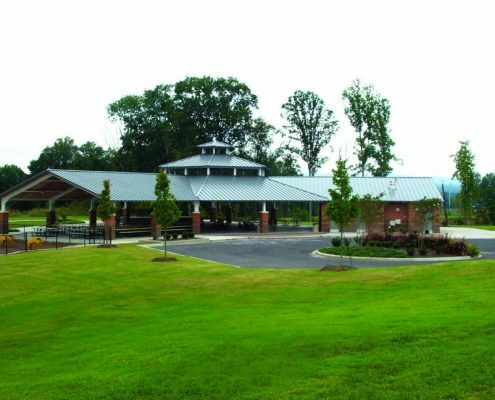 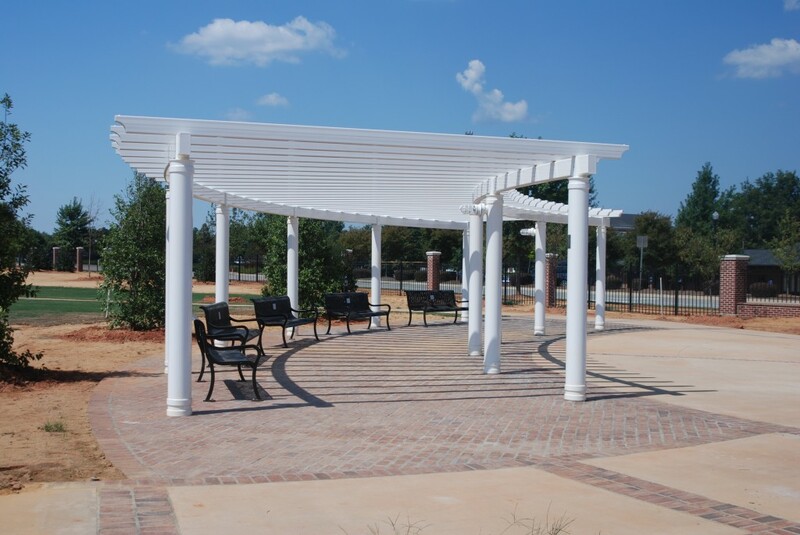 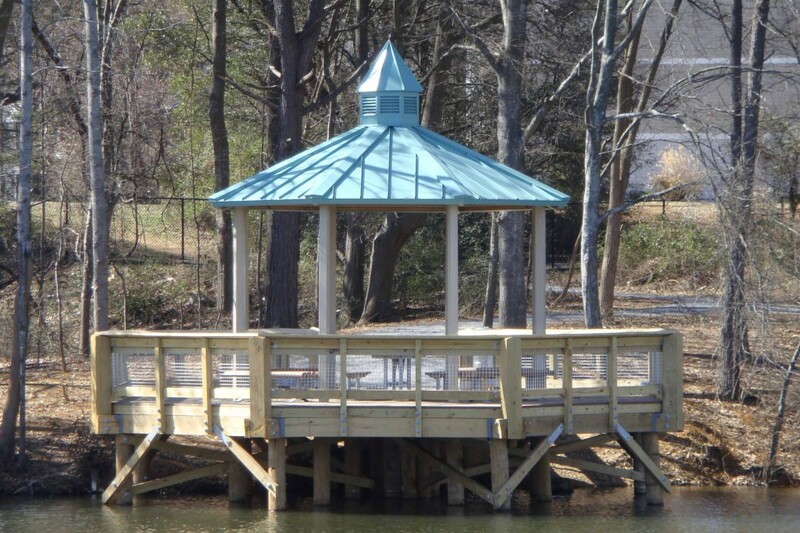 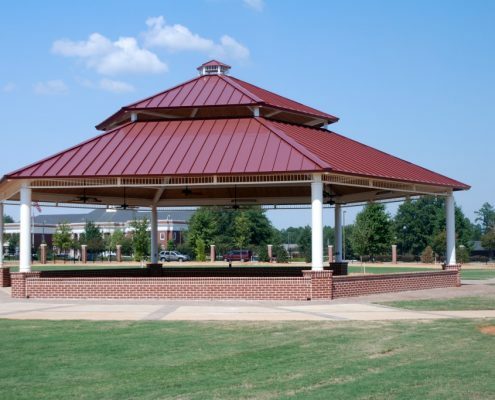 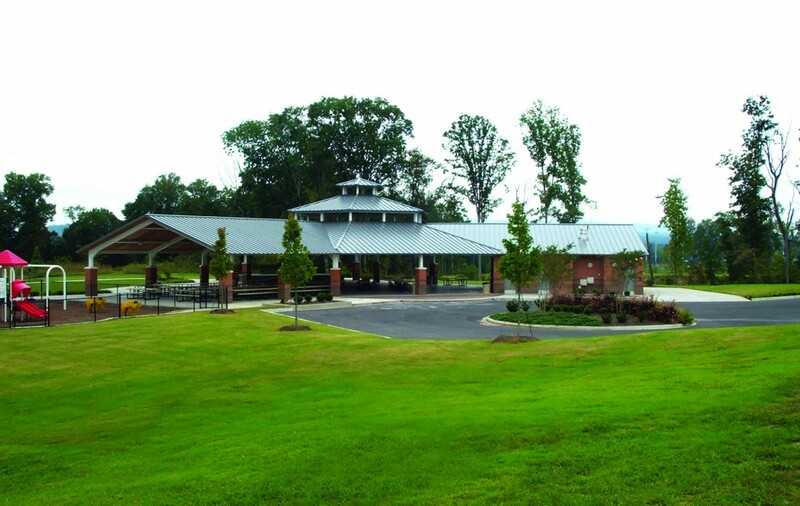 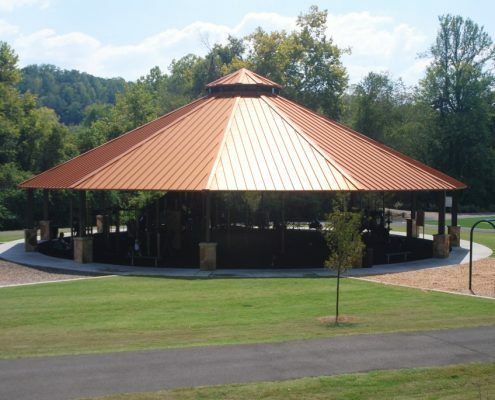 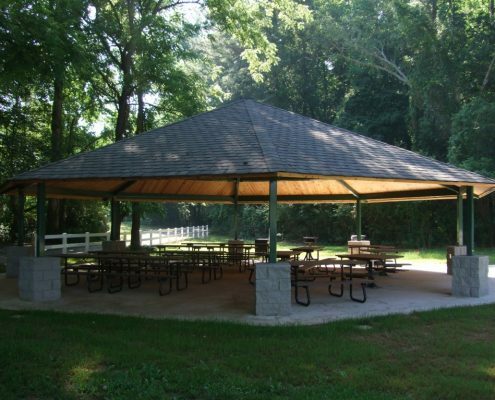 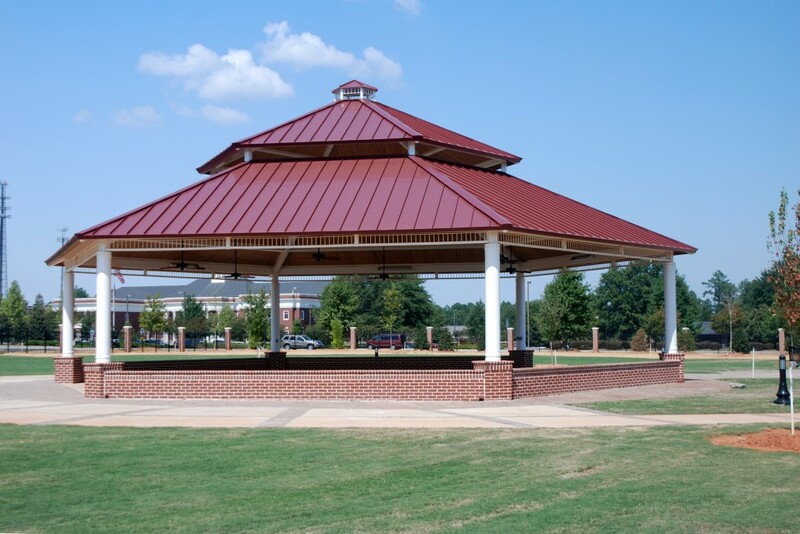 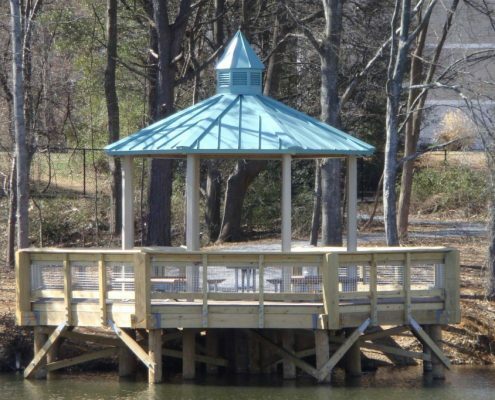 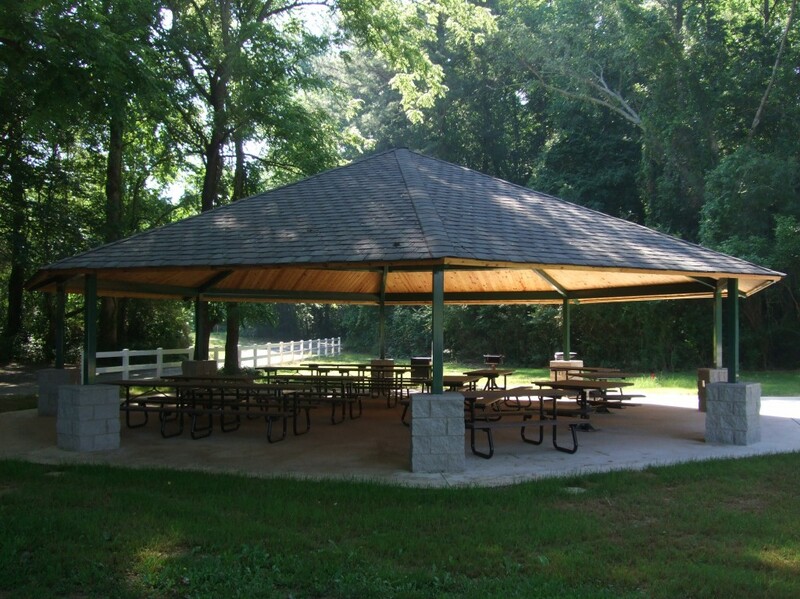 They continue to be at the forefront of shelter design with over 10,000 of the industry’s best gazebos, shelters, pavilions, pergolas, and trellises manufactured. 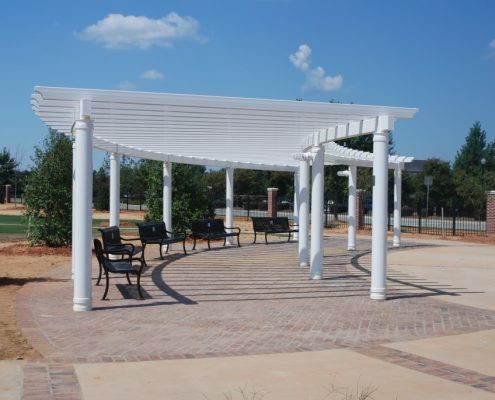 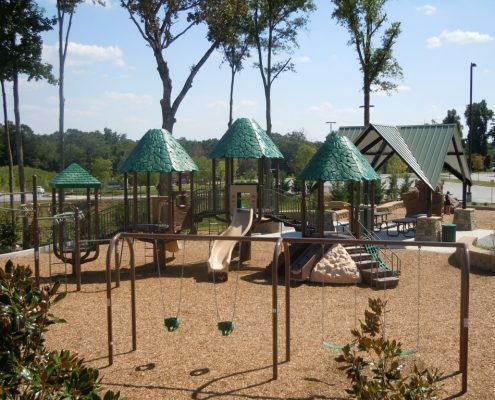 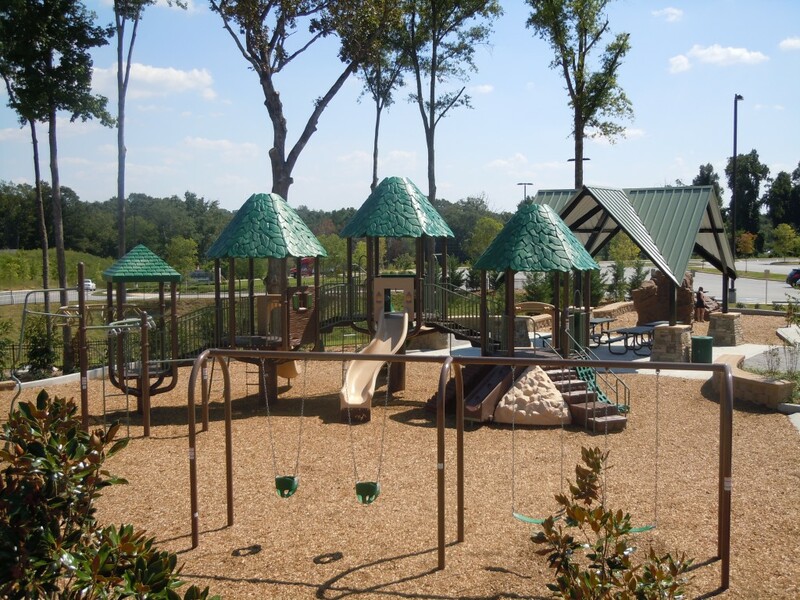 Their quality structures can be constructed into virtually any design that you need. 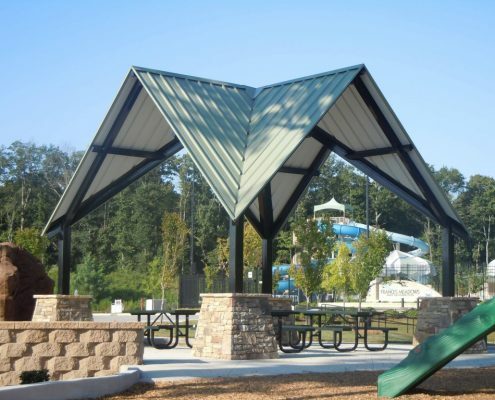 With their clean lines and multitude of colors to choose from, Poligon structures are sure to make an aesthetically pleasing addition to any area. 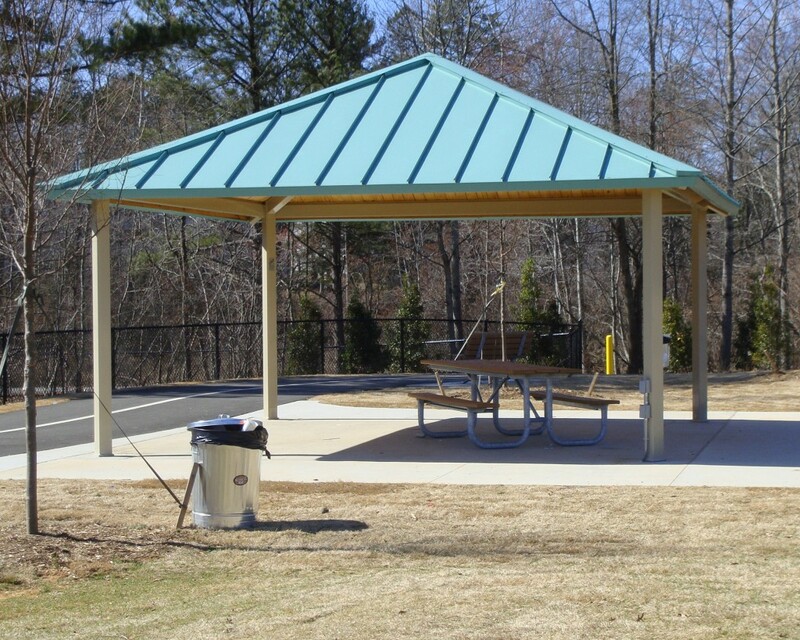 Pinnacle Wood Shelters are also manufactured by Poligon. The same attention to detail, design and innovation that goes into the industry leader Poligon goes into the Pinnacle wood shelters.